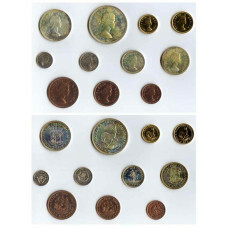 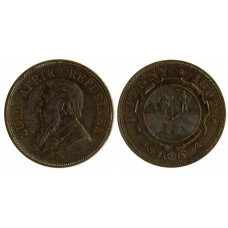 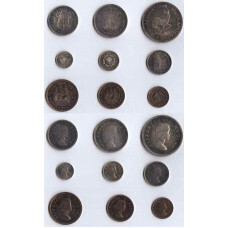 South Africa 1892, 1 Penny, Paul Krueger, with attractive patina, rare, BU ..
South Africa 1949, Short Proof Set, 9 Coins in original box, rare, Mintage 800 .. 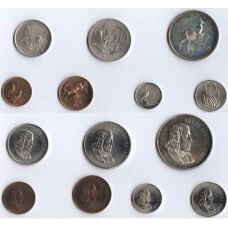 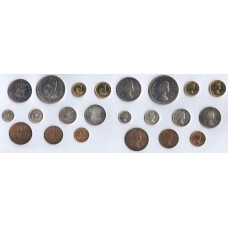 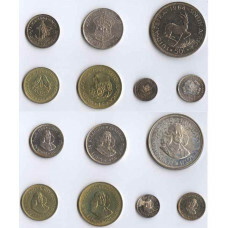 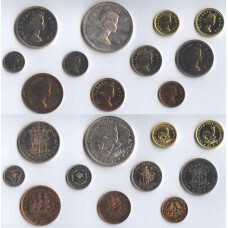 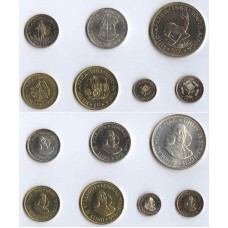 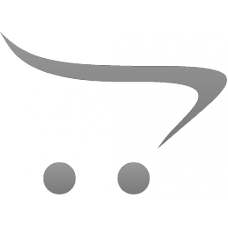 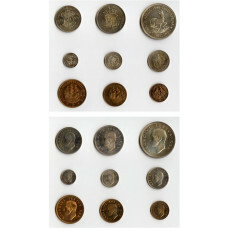 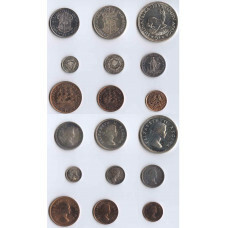 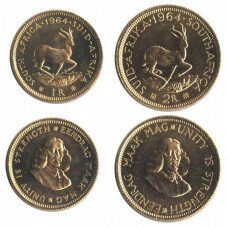 There are more South African Short Proof Sets between the years 1950-1960 in orginal Boxes available..
South Africa 1955, Short Proof Silver Set, 5 Shilling - 1/4 Pence, in original Box Mintage 2250 ..
South Africa 1956, Short Proof Silver Set, 5 Shilling-1/4 Pence, with beautiful patina in orginal Bo..
South Africa 1963, Short Proof Set, 7 Coins in original box, Mintage 2525, Proof ..
South Africa 1964, Short Proof Set, 7 Coins, in original box, Proof ..
South Africa 1965, Short Proof Set, Rand 1-1Cent, 7 Coins in original red box, Mintage 19889, ..
South Africa 1975, Proof Kruegerrand, Mintage 5600, 1Ounze Finegold, in org. 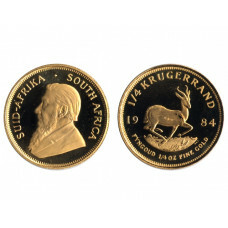 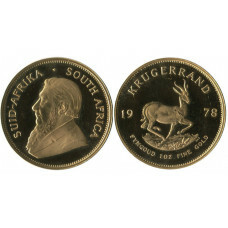 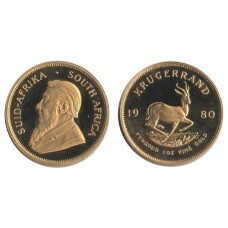 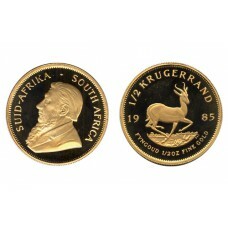 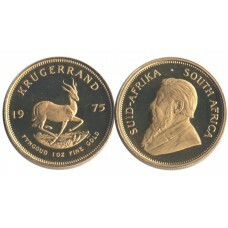 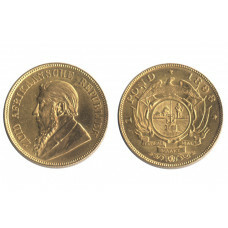 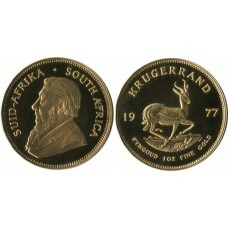 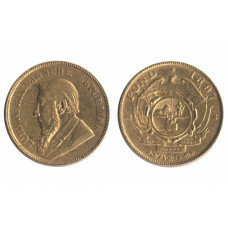 deluxe Box ..
South Africa 1977, Proof Kruegerrand, in original red deluxe leather box, mintage 8500, 1 ounce Fine..
South Africa 1978, Proof Kruegerrand, in original red deluxe leather box, mintage 10000, 1 ounce Fin..
South Africa 1980, Krugerrand 1 Ounce, Proof, fine Gold, in org.delux Box ..
South Africa 1984, 1/4 Ounce Proof Kruegerrand, 13020 Mintage, Proof ..
South Africa 1985, Krugerrand 1/2 Ounce, Proof, in original Box ..